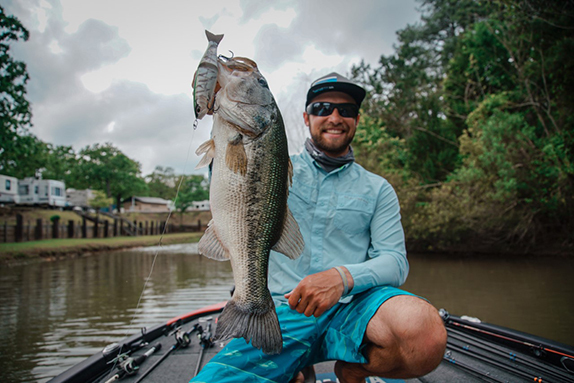 While I'd hoped to report on the opposite, not much has been accomplished in the world of competitive bass fishing to answer the monumental questions created by the recent death of Nik Kayler. Law enforcement leaves us little during their six-week investigation period, FLW has been tentative to comment and Bill Kisiah, the man believed to be at the helm when the accident occurred, hasn�t said a word. In all, I don�t blame any of them. Remember, we�re not talking about a simple rule infraction or contested prize money here. We�re talking about a man�s death. Like many of you, I�ve attempted to gather more information on the subject to help form an opinion of just what might have gone wrong. And I�ve seen other columns and opinions suggesting a likely scenario � big waves, motor malfunctions and a stumbling boat operator � that may give us a way to piece this all together. However, I again warn this is merely speculation, and not worth forming an opinion moving forward. Until Mr. Kisiah speaks � and I�m not sure he ever will � or a definitive report is issued by the Florida Fish and Wildlife Conservation Commission, all we can do is guess what happened. Such is counterproductive and, frankly, irresponsible. What�s important to remember is we still have a world of professional fishing in front of us, and the potential for similar occurrences to happen. But will the horrific experiences of earlier this month cause of change for the better? To speak bluntly, the business model of today�s tournament bass industry is not heavy on safety. The facts remain: The �standard� tournament bass boat is capable of speeds in excess of 70 mph. These boats are not inspected in any way prior to competition. Operators receive no formal training, with the exception of a laughable boater�s safety course in select states. Often � as was the case with the event in question � operators are allowed anywhere they can travel by boat, regardless of water or wave conditions, with no need to report on their whereabouts. Many operators have never experienced severe wave conditions prior to competition, but attempt to when money is on the line. And while PFDs are required in competition, they are never tested or checked, other than an occasional visual on self-inflating models. Let�s take a step back and, again, review the incident: A man was somehow thrown from a boat in the middle of one of the country�s largest lakes. He was there completely within the rules and not recovered for six days. That�s all we KNOW. So, based on such limited information, how can we prevent a similar occurrence? Despite the suggestions by many that �life can be dangerous� or that �there�s inherent risks to everything," I think it�s bull. And, until something is done to prevent such a matter from happening again, I plan to be here rattling the cage. You see, Nik Kayler�s death wasn�t an anomaly. But, to be fair, tournament organizations can only do so much. As mentioned, any professional level of boater training has never been embraced by our society, and likely never will. So, given the unknown factor of those driving the boats, organizers have two choices to prevent dangerous situations: limit the boats themselves, or limit the venue. Let�s start with the elephant in the room. As many of you know, I have been critical in the past of the monster rigs required to remain competitive at the highest levels, despite owning a dozen or so myself. But, unfortunately, that ship has sailed, friends. Never in our lifetimes will we see a return to smaller, slower, safer crafts in tournament competition, due to the deep rooting of the marine industry. So, sadly, cross out option No. 1. Which leaves us to limiting the water body. While this may sound absurd to some, I�ve personally seen such rules utilized numerous times on the Great Lakes with little problem. Using the event in question as an example, perhaps competitors could have been limited to no more than three miles off given shoreline references, or always within sight of the reed line. While it may change logistics a bit, the entire lake would still be open to competition. And, in the event of a problem � like a boat not checking in � rescuers would at the very least know where to start. In the immediacy, the best thing a tournament angler can do is update their personal safety equipment. After a bit of research I should have done years ago, I learned the ins and outs of Personal Locating Beacons (PLBs), and immediately ordered one. 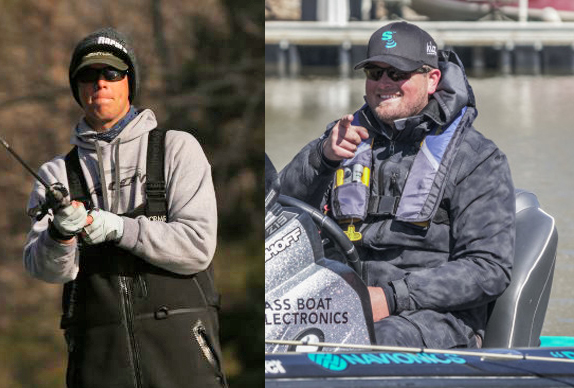 We�ll discuss these here next week, talk about how a PLB may have very well saved Nik Kayler�s life, and discuss why such devices should be mandatory in many bass tournaments. 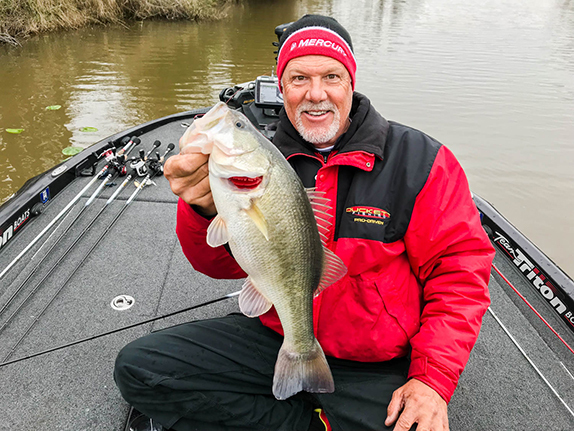 You see, as often the case with professional bass fishing, it�s important to occasionally take a step back and review the roots of our sport for a better understanding. When the good ol� boy network came up with idea of a bass derby, they weren�t going 70 across Lake Okeechobee. In contrast, the modern rules of bass tournament safety were evolved at a time when about the worse thing that could happen to a guy was getting stuck on a stump. Quite the opposite from a poor soul being lost for nearly a week, despite rescue efforts from several law enforcement agencies, on a lake that can seem as big as an ocean.